STOCK & ETF SWING TRADERS! Your Top 10 Weekly Alerts & Live Webinars Can Give You a Trading Edge... Try SwingScans Today! You’ll Get Stock Swing Trading Alerts, Coaching Webinars, Downloadable Videos PLUS LIVE Q&A Every Single Week Like Clockwork Featuring Popular Speaker, Author & Trader Ken Calhoun’s Top Weekly Charts… Learn How to Trade! Get updated strategies every week in live gotowebinar events, plus Q&A. New 'how to' tips to sharpen your skills. Join all our traders Live every Saturday morning for a professional, fast-paced look at the 10 best swing trading charts for stocks & ETFs in the $15 – $70/share range. Every weekend we also post a recording of the webinar, in case you can’t join us live, that you may download and keep forever. Featuring award-winning MoneyShow speaker & internationally published pro trader Ken Calhoun, you’ll learn with clearly-explained new tips & trading strategies each week! You’ll see not only what our top picks are, but why they are such strong charts to consider trading, with concise, easy-to-understand training. It can really make a difference! Because you’ll get specific training during live interactive webinar events every single week. It’s like getting mentored by a world-class trading expert, so you’ll learn new tips and techniques for trading each week’s strongest stocks. Bring your questions! Get answers from Ken using live charts as well. Get the strongest swing trading stocks weekly. Specific alerts are updated in the members' area. Follow the charts each week as they climb higher. Ask questions in Saturday webinars for pro help. Getting started with SwingScans is easy — just enroll using Visa/MC with Paypal. You’ll be sent your member login and password, plus a “Welcome to SwingScans” email with directions. It’s a monthly subscription; you can unsubscribe anytime from within Paypal.Or save even more with an annual plan. Join us each week on Saturdays from 10:30-11am ET to get updated swing trading alerts — fully explained with live charts in these members-only LIVE “how to” swingtrading webinars. Held on our Gotowebinar platform, these are “must-see” events to learn from. 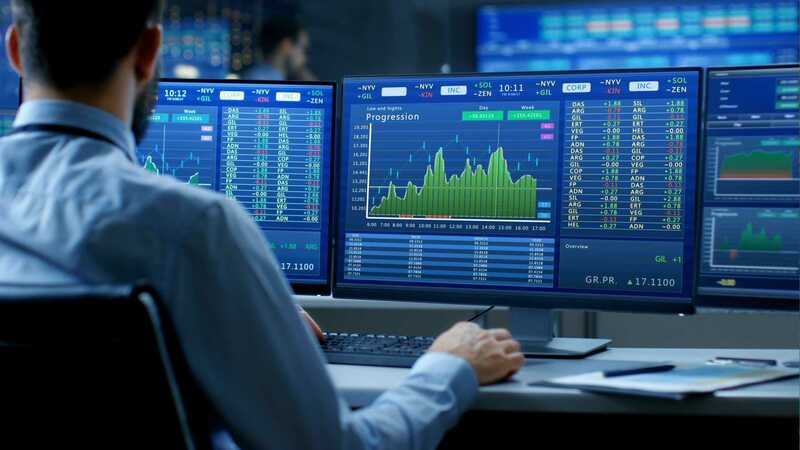 By learning from Ken Calhoun, a widely respected MoneyShow speaker and “Technical Analysis of Stocks & Commodities” columnist and industry expert, you will discover updated new strategies and swing trading picks you can learn from quickly. We filter through the charts to hand-select the very best we can find for you. Answer: You get access to weekly webinars held 10:30-11am ET every Saturday, personally facilitated by Ken Calhoun. Includes chart discussion and at least 10 swing trading alerts for the upcoming week ahead. Plus access to a members’ area with tickers and specific alert prices to learn from. The members’ area shows you 10 new stock tickers with specific entry prices, updated weekly, for the upcoming week ahead. BONUS: Now you’ll also get to Download a high-definition video of each week’s webinar, in case you can’t join us live…New feature by popular request. The most-recent 2 webinars are available for download. Q: What types of stocks and ETFs do you provide alerts and training for? Answer: You’ll get alerts and training for stocks & ETFs with the best combination of volume and volatility; usually priced $10-$70/share with at least 1 million shares per day volume, and at least 1-2 points daily trading ranges. And during times where the markets sell down or pull back, you’ll get expanded coverage for swing trading the short (bear) inverse ETFs, which go up during market selloffs (like FAZ, QID, VXXB and others). Perfect for all types of market conditions. Answer: One advantage to Paypal subscriptions like this is that you can login to your Paypal account and cancel anytime yourself, without contacting me. Or contact us. Q: Will my SwingScans subscription rate ever increase? Answer: No — as long as you remain continuously subscribed you are ‘grandfathered in’ and your rate will never increase. Your rate that you’re locked in at will never go up, so long as you stay actively subscribed. Another SwingScans advantage. Q: Do you have any performance statistics? Answer: No; as with all my training we make no profitability nor performance claims of any kind (in compliance w/SEC regulations). All information is published for educational use only. Q: Are there refunds or putting time on hold? Answer: No, all sales are final for regular monthly/annual memberships (though your initial $47 trial is fully refundable). And like a cable tv/internet subscription, there’s no pausing or putting time on hold; subscriptions are continuous from the date you join. Q: May I ask any trading questions? How? Answer: This is primarily designed to be a professional alerts service, held during fast, focused Saturday events. Due to the volume of emails/support tickets we get, we cannot answer any trading or other questions via email/support ticket. We can’t answer questions about charts other than those 10+ selected for each week’s SwingScans alerts. You may however ask Ken one or two brief trading questions related to charts we’ve covered during the live Saturday webinars if you wish…another SwingScans advantage. For educational use only: no performance nor profitability claims nor trading recommendations are made. By participating you agree to not make actual trades; use a demo (papertrading) account, to Learn the patterns as they are explained in each educational session. No individual advice nor recommendations are being made; all information is impersonal and generally published in nature, per regulations. + We do not provide individual trading advice nor do we make trading recommendations of any kind. + Alerts are not buy/sell signals; they are published as impersonal, general educational content only to illustrate chart patterns. + This is not an advisory service, it is an educational content service. Getting started with SwingScans ™ is easy! No long-term obligation, cancel anytime. Bonus: SwingScans weekly LIVE sessions allow you to ask questions as well, and get instant professional trading answers from award-winning Moneyshow speaker and genuine trader Ken Calhoun! Go ahead and enroll now… because it can help you learn swing trading each week. Welcome aboard! NOW ACCEPTING NEW MEMBERS > Enroll Today! This is a LIVE Saturday premium webinar series, plus video download of most-recent broadcast, included (as it says in the FAQs, above). Not available in Malaysia, Indonesia, China, North Korea, African, Iran/Iraq, India, Mexico, Brazil, Portugal, Eastern European, or Russian Federation locations. Any attempted orders from these locations will be voided/cancelled. .Trial Offer 100% Satisfaction Guarantee: If you are not thrilled with your SwingScans trial for any reason, contact me and I’ll return your $27, no questions asked. It’s 100% risk free to try SwingScans; I’m confident you’ll want to stay subscribed with all my other smart traders. 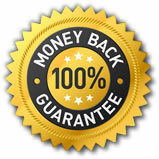 Money-back guarantee limit $27 maximum (for trial only, not regular subscriptions). Limit one trial per person lifetime max (if you’ve already tried SwingScans and are returning, welcome back! Rejoin at the regular $97/month membership link here or save with our $795 annual plan here. Go ahead and register your spot today! No long-term commitment, you can cancel your subscription anytime. Now enrolling: Allow 24 hours from date of order to get your access information. If you ordered and don’t see your welcome email, check spam/trash folders. Once you order, you will also be added to our email list. If you still don’t see it, contact us with the same email you ordered from, using the blue ‘support’ tab at bottom left of this page, or contact us here. DIRECTIONS: Once you order, we will automatically register you for upcoming Saturday 10:30amET webinars. For access to the members area, Step 1) register at https://trademastery.com/tm-register/ then Step 2) contact us via support tab at bottom left (or support ticket) to tell us you registered. We will check it, then enable access to your SwingScans members’ area (allow 24 hours).